J. Ian Stalker, who has had a long—more than 45 years—and storied history in mining exploration, development and operations, including working in West Africa for more than a decade, has become the non-executive chairman of Nexus Gold Corp. (NXS:TXS.V; NXXGF:OTCQB), a gold exploration company with projects in Burkina Faso and Canada. During his career, he has taken more than 10 mining projects through feasibility, development and construction phases, and has raised more than $500 million in capital investment. His high-level positions in gold mining include stints as managing director of Ashanti Goldfields Co. Ltd., which later became AngloGold Ashanti; vice president of Gold Fields Ltd.; and CEO of Brazilian Gold Corp.
Companies under Stalker’s management have seen significant market cap growth. He was the CEO of UraMin, a uranium company that was acquired by Areva for $2.5 billion in 2007. As president and CEO of LSC Lithium, he guided that company to a recent $111 buy-out, a 30% increase in market price. “The company has turned around. We have a little bit of money in the bank, we’re moving forward, we’ve had some success on the ground,” Klenman stated. “Additionally, there are a large number of mining companies right around us, so in the area where we are working there are known deposits both of size and economies where companies can mine gold on a regular basis and produce it in an economic fashion. That adds a lot of value to the exploration environment we find ourselves in,” Stalker explained. 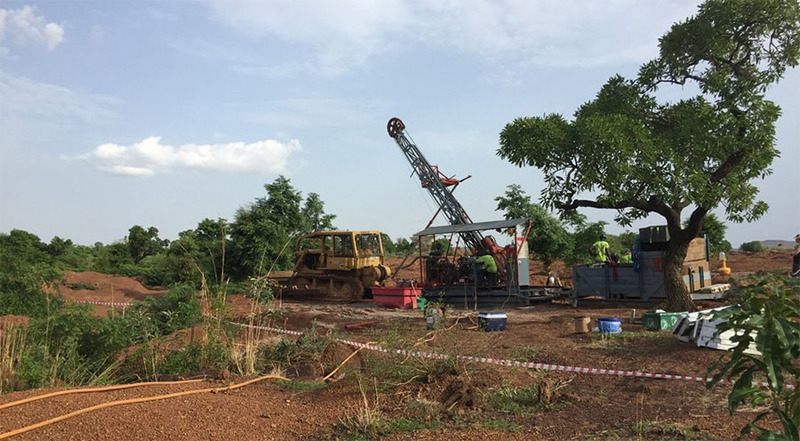 The company’s primary and most advanced project is Bouboulou, located in central Burkina Faso; it was once owned by Roxgold, and at the time was known as Bissa West. Roxgold did some work on the property, but after the Yaramoko discovery, the property became available, and Nexus acquired it. According to the company, drilling confirmed five mineralized zones on the 38-sq-km Bouboulou property and three different trends that cross Bouboulou in a southwestern direction. “We felt those trends were going to cross the 250-sq-km Rakounga property, so we acquired it, which gives us a combined contiguous package of about 288 sq km,” Klenman explained. “We established three drill tested zones on the western flank for Rakounga. In a subsequent soil program, we were able to connect them at least in terms on anomalous surface; it’s about a 16-km trend, with eight known zones. We’ve put about 50–60 holes down between the two concessions and are about a third or halfway to a resource estimate there, depending on how the next bit of work goes. We are hoping we can fill the gaps between the three zones at Rakounga and the five at Bouboulou.” Klenman stated. Bouboulou/Rakounga is a typical West African open-pit, low-grade bulk tonnage project. Nexus’ other two Burkina Faso properties, Niangouela and Dakouli, have a very different story. 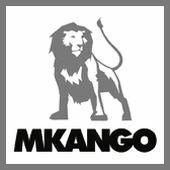 “Warren Robb thought that the set-up at Niangouela, which is northeast of Bouboulou, was in his mind very similar to what he saw at Yaramoko, so we did a quick sample program, and came back with 2,950 g/t, 403 g/t samples, absolutely outrageous for West Africa,” Klenman stated. Dakouli is the company’s latest addition in Burkina Faso, on which it obtained a nine-year mining lease. The property comprises 98 sq km just south of the Niangouela concession. The company was attracted by the artisanal activity on the property, miners digging down 40–50 meters with 400–600 meter strikes. “From an overview position, there has been a significant amount of work to identify targets on the ground, and these were followed up by preliminary and secondary phase drilling. So we have a pretty good database, one in fact that brought on the streaming company, Sandstorm Gold Royalties, that came to look at our data and gave us money to continue our work a year ago,” Stalker stated. “We are optimistic that at the end of this year and into next year, we will have a 43-101 resource available to us,” Stalker stated. “All in all, in Burkina Faso we have over 550 sq km of ground, a sizeable package, all in the Boromo-Goren greenstone belts,” Klenman stated. Nexus has also been diversifying beyond West Africa. In January, the company completed the acquisitionof the New Pilot Gold Project in the Bridge River Mining Camp in British Columbia. A second Canadian project, the McKenzie Gold Project in the Red Lake region of Northwestern Ontario, was acquired in February. The Canadian properties provide year-round activity for Nexus. “We can work on the ground on the Canadian projects in the summer, when it’s rainy season in Burkina Faso, and the rest of the year in West Africa,” Klenman stated. “I think there is the potential to grow Nexus not just into a Burkina Faso company, but to a much larger West African company, that adds a lot of potential value to the company and gives you that size one needs to have in order to get proper attention,” Stalker stated. Nexus currently has 42 million shares outstanding, 61 million fully diluted. Sandstorm Gold Royalties is the largest shareholder, having taken a 17% equity stake in the first post-consolidation financing in May 2018, and it holds a 1% NSR on Bouboulou, Rakounga and Niangouela. “Sandstorm will get its revenue when the projects go into production, so given that we are at the exploration and development stage in our lifecycle, that’s a tremendous vote of confidence,” Klenman explained. 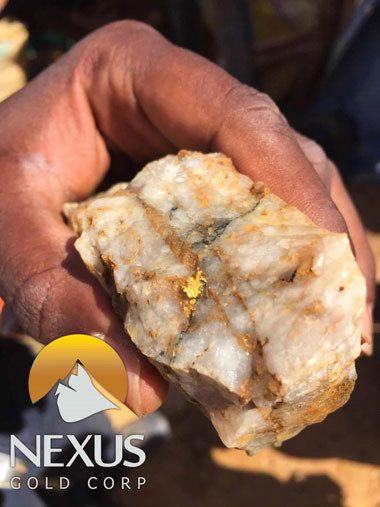 “Nexus has quality gold projects in one of the most attractive countries in Africa with 3-4 million ounce potential. The company is so far off the radar screens of investors that it hasn’t even arrived at the airport. I don’t think the company is going up tenfold in the next month but if management can run a tight ship and plank the money into the ground, it has ten-bagger potential over the next year or so,” Moriarty added. 2) The following companies mentioned in this article are billboard sponsors of Streetwise Reports: None. Click here for important disclosures about sponsor fees. As of the date of this article, an affiliate of Streetwise Reports has a consulting relationship with Nexus Gold. Please click here for more information. Within the last six months, an affiliate of Streetwise Reports has disseminated information about the private placement of the following companies mentioned in this article: Nexus Gold. 5) From time to time, Streetwise Reports LLC and its directors, officers, employees or members of their families, as well as persons interviewed for articles and interviews on the site, may have a long or short position in securities mentioned. Directors, officers, employees or members of their immediate families are prohibited from making purchases and/or sales of those securities in the open market or otherwise from the time of the interview or the decision to write an article until three business days after the publication of the interview or article. The foregoing prohibition does not apply to articles that in substance only restate previously published company releases. As of the date of this article, officers and/or employees of Streetwise Reports LLC (including members of their household) own securities of Nexus Gold, a company mentioned in this article. Bob Moriarty, 321 Gold: Nexus is an advertiser. I have bought a fair number of shares in the open market. I am biased. They have a lot of information on their site and you should look at it. Do your own due diligence. Equity.Guru: Nexus Gold is an Equity Guru client. Disclaimer: ALWAYS DO YOUR OWN RESEARCH and consult with a licensed investment professional before making an investment. This communication should not be used as a basis for making any investment.